Crowdfunding is no longer a trendy buzzword. Today, fundraising campaigns on Kickstarter and Indiegogo, among others, are behind some of the most successful indie video games in the world. Isometric RPG Pillars of Eternity, for example, raised just under $4 million, which was almost four times more than its initial funding goal. Such was its success that developers Obsidian Entertainment announced a sequel in 2017 that topped out at $4.4 million. Other successful campaigns include Star Citizen at $2.2 million against a goal of $500,000, Divinity: Original Sin at $944,000 surpassing a goal of $400,000 and The Banner Saga, which raised $724,000 against a goal of $100,000. Many more who have surpassed their original goals. The above examples are certainly impressive, but it’s important to remember that far more projects fail than succeed, with many not even getting a single dollar of funding. 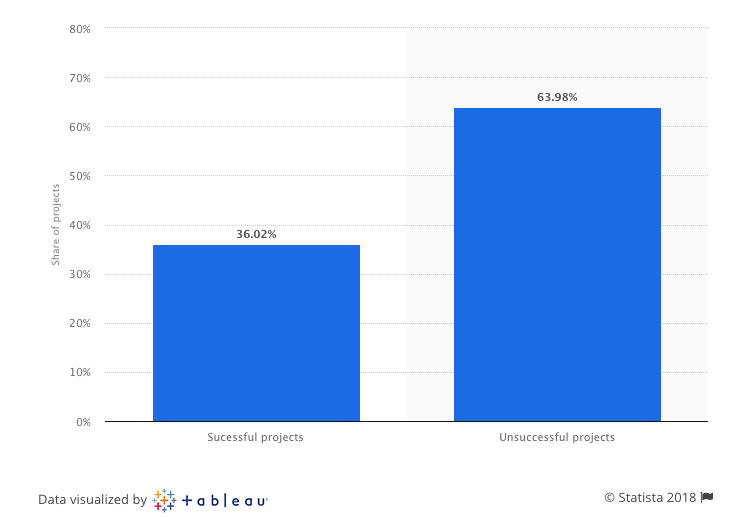 Back in April, the number of unsuccessful projects hit 64%. Although this figure is dropping, due partly to the fact that people now have a better understanding of how crowdfunding works and what makes for a successful campaign, the system certainly shouldn’t be taken for granted. That’s why you must think carefully about the success factors and prepare your crowdfunding journey well in advance. With that in mind, let’s explore how some of the best-funded video game titles have not only reached, but surpassed, their original funding goals. Here are five key factors behind the success of games like Star Citizen. You might think that the first step in building a successful crowdfunding campaign is to start setting goals, but preparation starts well before this. The first step is to conduct research into your target player base. You probably have some idea of who your target audience is from the moment you decide to start developing your game. But to convince people to back your project, you need to tailor your message so that it speaks to their precise desires. This requires extensive research into your target audience and testing your crowdfunding message until you find exactly what works. After the initial idea and concept, every successful crowdfunding campaign starts with planning and research. At this early stage in development, you have ample opportunity to tailor your efforts to the preferences of your target audience. 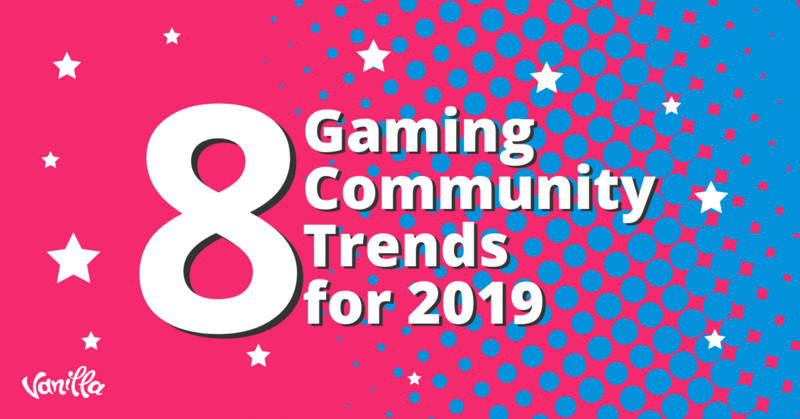 Now’s a great time to trawl through the gamer communities on Reddit, Facebook, Discord, Steam and other platforms to learn more about your player base. Be sure to familiarize yourself with trends shaping the direction of your genre so you’re better able to exploit a gap in the market and develop a unique value proposition that speaks directly to your ideal player (and backer). People often look for something different when they invest in a crowdfunded project – i.e. : they want to have a closer relationship with the developers and more of a say in the direction of the project. 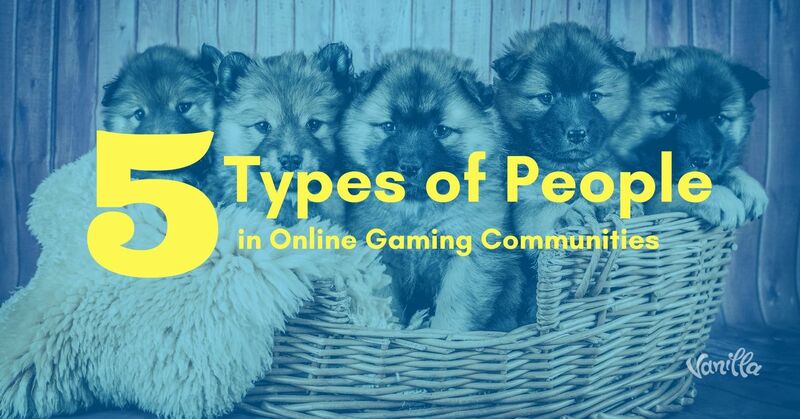 Conducting initial research to better define your player base isn’t just about reading through forum posts and popular gaming blogs; it’s also about getting involved in the conversation. 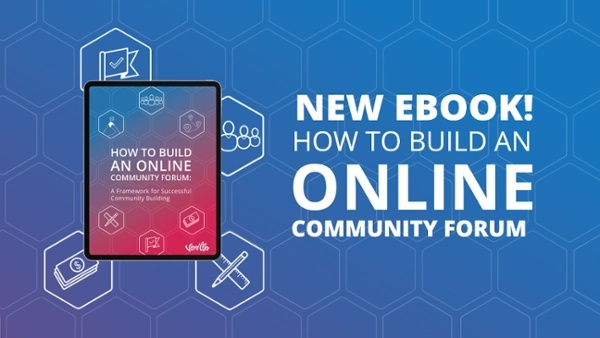 Although we’ll cover the importance of having an active community of your own later on, now’s the time to turn to the major public community platforms to ask questions and look for guidance. At this point, your goal is to determine what’s popular, what the market currently lacks, and which types of people make up your ideal audience. For example, many of the most successful crowdfunded games belong to genres that have long since been abandoned by AAA developers. People often look for something different when they invest in a crowdfunded project – i.e. : they want to have a closer relationship with the developers and more of a say in the direction of the project. Successful crowdfunding campaigns are often the result of months of planning and preparation. When it’s time to launch the campaign itself, the first thing that will likely come to mind is setting an appropriate funding goal. Unsurprisingly, this is paramount to the success of your campaign, and setting the wrong goals is one of the most common causes for a campaign to fail. Ask for too much, and you’ll likely never reach your target. On the other hand, ask for too little, and you might end up facing a brick wall mid-way through development. Setting the right goal is something you must get right the first time, since unexpectedly asking for more funding down the line is likely to tarnish your credibility, especially if you don’t have a proven track record. First, you need to show commitment while minimizing the risk to the crowd. Second, you must dedicate enough time to the project. Third, you must determine how much you’ll need to spend on hiring developers, artists, testers and other team members, and on any other vital resources. Finally, it’s never possible to accurately budget in advance for such projects, so you must maintain a reasonable margin of error. Of course, if your project is wider in scope, being comparable to a major AAA title, your goals will be much loftier, and it will be harder to convince would-be backers to invest. That’s why it’s better to start small, especially if it’s your first game. Fortunately, most players understand that larger and more ambitious titles take a lot more planning, funding and time. That’s why most crowdfunding platforms allow you to set additional goals. These are known as stretch goals. For example, an initial goal might cover the development of a basic alpha version of the game to be launched in early access. As long as you make it clear what people are funding and at which stage, you shouldn’t have a problem adding further funding goals – provided that you are transparent from the outset. A stretch goal might cover beta testing or the addition of high-definition textures or expansion packs. But backers generally prefer that your initial funding goal covers a finished product. Stretch goals aren’t right in every case, but they can help you fund bigger projects more easily. Far too many people think of crowdfunding platforms as charities, but backers and donors are very different things. When people consider backing your video game, they’re interested in results, and this means offering them incentives rather than merely a pie-in-the-sky that your game will one day be completed. That’s where reward tiers come in. Compelling reward tiers are a great way to increase the chances of meeting, if not surpassing your funding goal. By offering higher reward tiers to those willing to invest more money, you have a better chance of reach high-level backers and having them encourage others to back your project. On the other hand, if you add too many reward tiers, you risk confusing would-be backers and making fulfillment more challenging. As such, it’s important to get your reward tiers just right – which varies dramatically depending on the nature of the project. To give an example, Ludeon Studios, developers of Rimworld (now in Steam Early Access) provided 10 reward tiers ranging from $5 to $6,000 CDN. The lowest tier gave backers the opportunity to have their names included in the game’s credits, while the highest provided all the boons of the previous tiers, plus the chance to choose the name for the entire game world. In the end, the overwhelming majority of backers fell into the second, third and fourth reward tiers, and the game ended up raising almost $270,000 CDN before an alpha version was released to huge critical acclaim on Steam Early Access. The above example is a great inspiration as to what sort of reward tiers might work for your game, but it should only be taken as the roughest of guidelines. Your focus should be the reward tiers that include your featured item. For example, let’s say the price of your finished product will cost upwards of $20. Anyone who donates that amount (or more) should receive the first publicly available version, whether that’s an alpha, beta or final product, for free. Lower pledges, which likely won’t include the full product, tend to be less popular for that reason. Though the benefits of crowdfunding are without doubt, it’s never easy to convince people to invest in a product in its earliest stages of development. Apart from offering incentives with the right reward structure, you must also focus on providing quality content. After all, quality begets success, and frequent updates that keep your backers informed signal even greater success. If you can’t prove yourself with quality content, chances are support will wane quickly (if it even picks up traction in the first place). That’s why – from the moment you first launch your crowdfunding campaign – you must focus on quality signals that point to its future success. Crowdfunding projects are largely based on honesty and perceived product quality. Uncertainty is inherent to the process, and that’s why you must work hard to convince your player base that the project will be completed successfully. Marketing an unfinished product isn’t easy, so it’s important to be transparent from the outset to gain your backers’ trust. This means you need to regularly publish quality content and updates on your campaign page, on your blog and on any other platforms you use. For best results, provide regular updates using a wide range of mediums, such as project descriptions, development updates, screenshots, infographics and in-depth articles. The best content, however, is that which shows your game as close to its finished form as possible. Remember, your campaign creators should be rigidly focused on improving quality signals from the very beginning and at regular intervals. If people stop receiving updates, it won’t be long before they start wondering whether your project is yet another crowdfunding failure. Backers don’t just pledge money to a video game that’s in development because they’re looking forward to playing it. They want to be involved and have a say in the direction of the project. That’s why community is probably the most important success factor. In fact, it’s safe to say that without a community, your crowdfunding campaign will never get off the ground. Unlike traditional methods of funding, crowdfunding campaigns typically involve very large numbers of people donating small amounts of money, rather than the other way around. Instead of maintaining relations with small groups of investors, you connect with real communities where trust, relevancy and reputation are always center stage. Moreover, while investors tend to be more interested in results alone, community backers are just as interested in the journey. 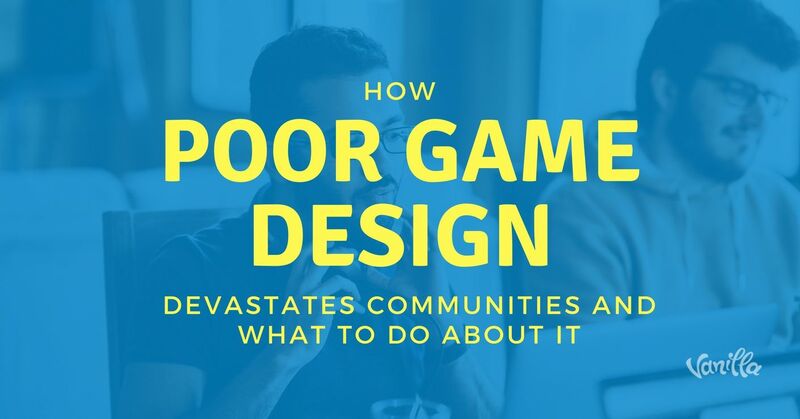 In other words, they want to be actively involved in the game’s development, and that means they want you to listen to their feedback, answer their questions and give them an exclusive behind-the-scenes role in your project. This is how the power of an online community for conversation and collaboration will become your one-stop shop for providing updates, listening to feedback and providing support. Crowdfunding platforms are built to allow campaign creators to collaborate with their backers, but you want a community of your own (such as a private forum on your website) to provide a greater sense of exclusivity, while giving you more control over factors such as branding and customization. It cannot be stressed enough that using a community to keep backers informed, as well as for validating their feedback, is one of the most critical components of any crowdfunding campaign. It’s ultimately a dynamic and thriving community that will keep people interested and inspire backer advocates to recommend your project to others. A strong community infrastructure is your go-to resource for motivating funders; both potential and existing backers will pledge more if you’re consistently present in your online community.